Dunas do Alvor Located in fishing village of Alvor, 5 km from Portimão, Dunas do Alvor offers access to an outdoor pool and a tennis court. This apartment includes a balcony with pool view and a double room with a wardrobe. The bathroom comes with a bath, a shower, a bidet and a hairdryer..
Hospedaria Buganvilia Buganvilia is located in Alvor, 1 km from the beach and 5 km from the city of Portimão. Each room will provide guests with a TV, air conditioning, safe, and a balcony. Only the suite provides a living room and a fully equipped kitchen where guests can cook their own meals. Homestay Alvor Located in picturesque town of Alvor, bathed by the warm waters of the Algarve, Casa de Alvor is just a 10-minute walk from the extensive Alvor Beach. Equipped with air-conditioning, the townhouse has 3 private bathrooms. Alternatively, guests can visit the various restaurants within walking distance serving the traditional Algarve fish and seafood specialities..
Pestana Alvor South Beach Premium Suite Hotel price per day from € 106 Located just steps from Alvor Beach, Pestana Alvor South Beach Premium Suite Hotel also features an outdoor swimming pool. The 4-star unit includes a restaurant, bar and an outdoor fitness centre. All units are air conditioned and come equipped with a flat-screen TV and a private bathroom, with free toiletries and a hair dryer. Terraço e Mar Featuring a large balcony with barbecue facilities, the Terraço e Mar apartment is a 10-minute walk from Alvor Beach. This air-conditioned unit features a living room with a flat-screen cable TV and a double bed in the bedroom. A kite surf centre is located 750 metres from Terraço e Mar..
Alvor Guesthouse price per day from € 45 Featuring free WiFi and a terrace, Alvor Guesthouse offers accommodation in Alvor. A flat-screen TV with satellite channels is available. Pestana Dom Joao II Villas & Beach Resort Just steps away from the Alvor Beach, the Pestana Dom João II Villas & Beach Resort offers 3 swimming pools and calm, green gardens. The guest rooms are modern in style and offer satellite TV and a minibar. 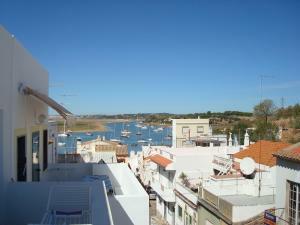 Villa Alvor Featuring free WiFi and a balcony with pool views, Villa Alvor is a villa, set in Alvor. The kitchen has a dishwasher, an oven and a microwave, as well as a coffee machine and a kettle. 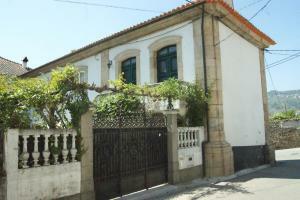 7 km from Villa Alvor, while Tres Irmaos Beach is 2. 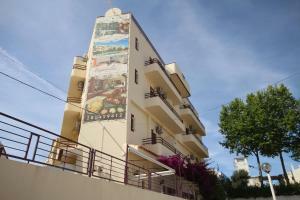 Town House V2 - Prainha Resort Situated in Alvor, Town House V2 - Prainha Resort offers a spa centre and sauna. 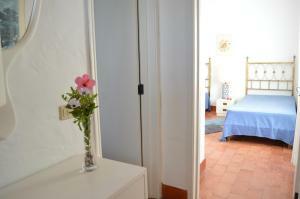 The property has a private beach area and bike hire and car hire are available. 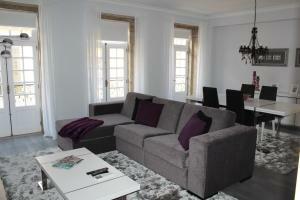 Villa Alvor - LK Villa Alvor - LK is a detached villa with a sun terrace, situated in Alvor in the Algarve Region. The nearest airport is Faro Airport, 57 km from Villa Alvor - LK..
Alto Club Villa Oleander Featuring free WiFi and a terrace, Alto Club Villa Oleander is a villa, situated in Alvor. The property is 1 km from Alvor Beach and boasts views of the sea as well as a private outdoor swimming pool. A flat-screen TV and blu-ray player, as well as an iPod docking station are provided. 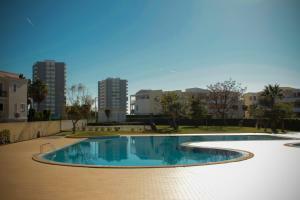 Golf club Penina (Championship), 3.7 km from the centre of town of Alvor. Golf club Palmares (Praia & Lagos), 4.5 km from the centre of town of Alvor. Golf club Morgado, 7.7 km from the centre of town of Alvor. Golf club Vale da Pinta, 10.2 km from the centre of town of Alvor. Golf club Oceanico (O'Connor), 20.1 km from the centre of town of Alvor. Golf club Oceanico (Faldo), 20.5 km from the centre of town of Alvor. Zoomarine Algarve, Guia, 24.7 km from the centre of town of Alvor.